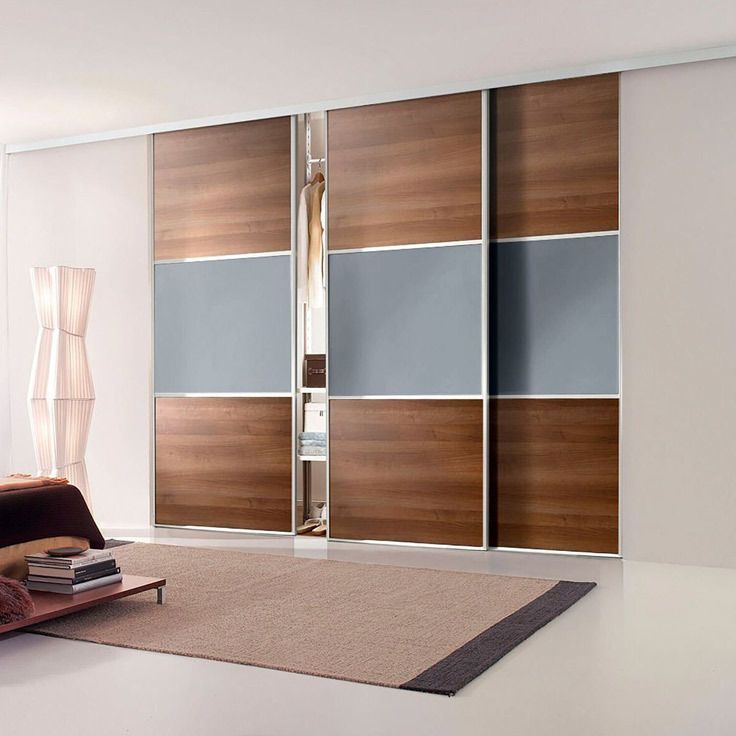 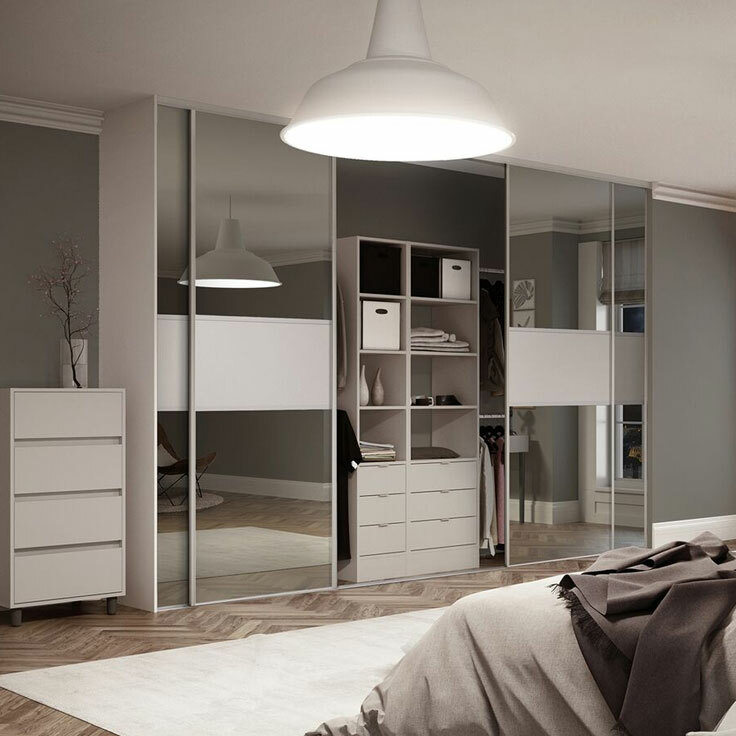 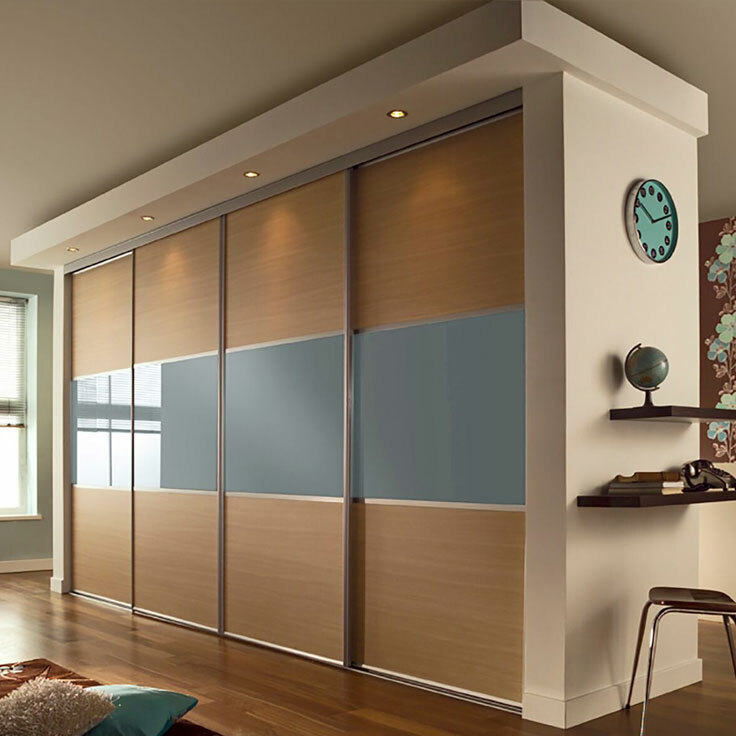 The Linear range of contemporary sliding wardrobe doors offer a modern and fresh style with huge versatility. 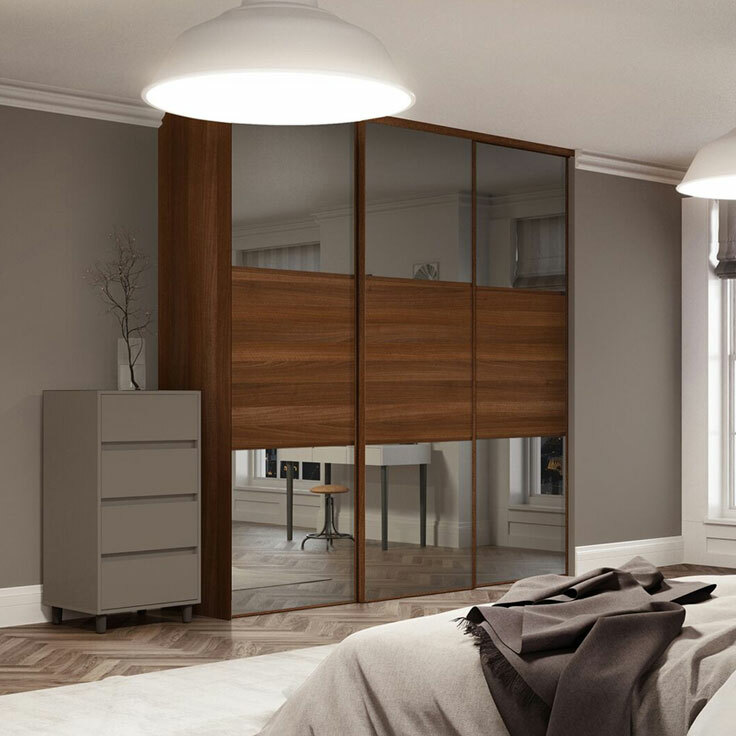 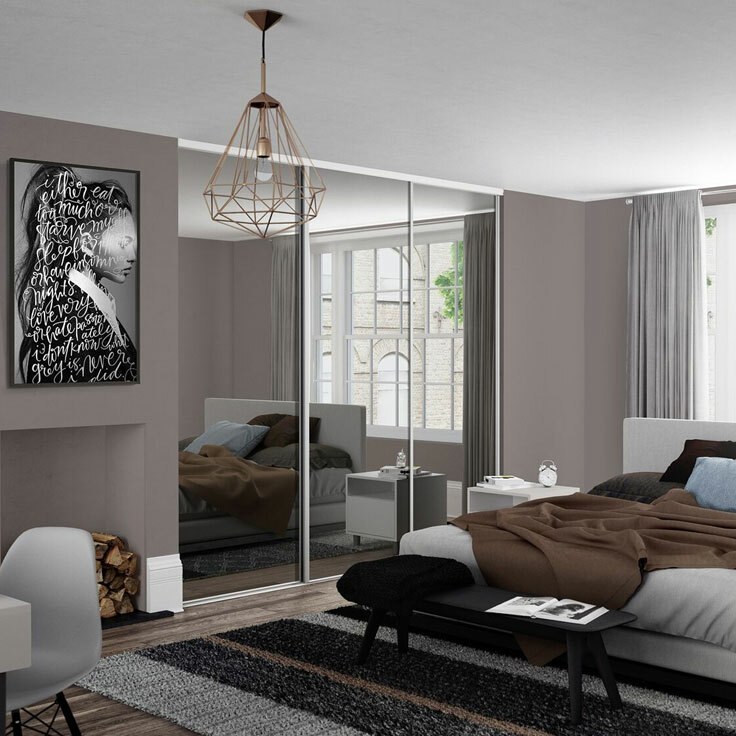 The frame is made from top grade Sheffield steel with a wide range of finishes available for a stylish and contemporary wall to wall wardrobe door that is customised to suit you. 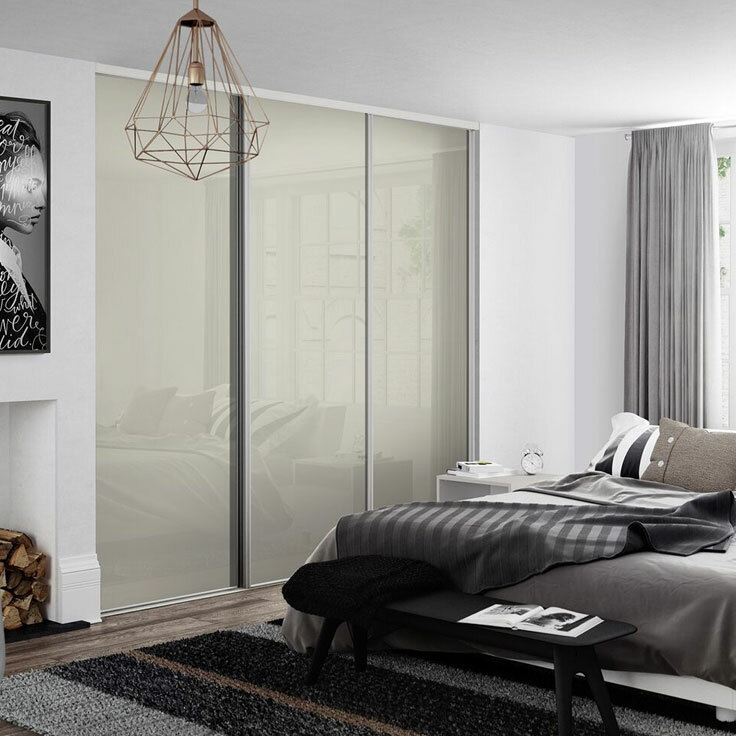 The linear range is our most versatile, yet cost effective range, available in 8 different door panel configurations, 8 frame colours and 48 panel and safety glass colours. 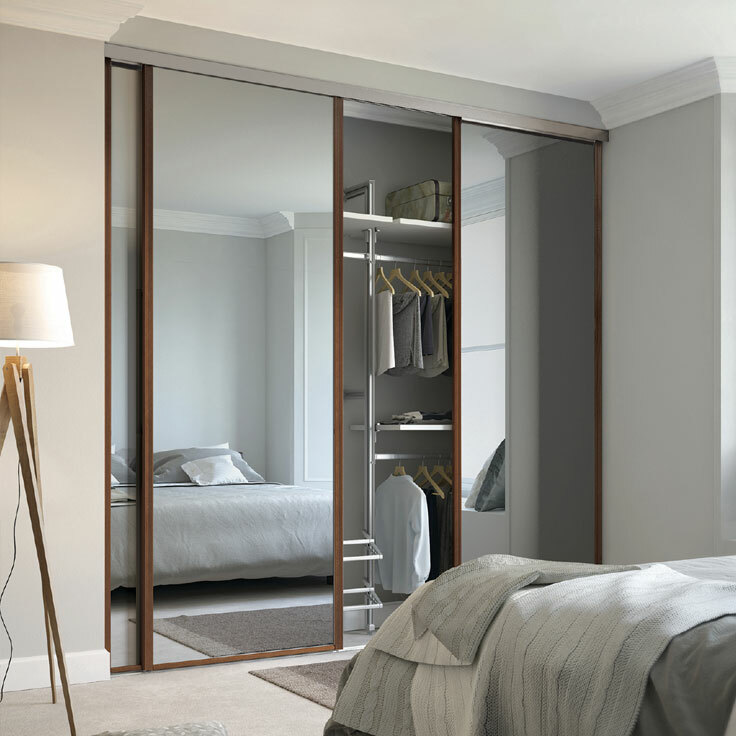 Practical and modern Sheffield steel 25mm wide, shaped frame for ease of operation.